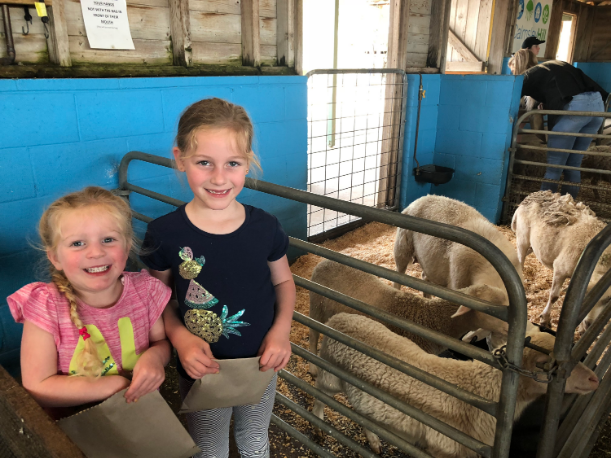 Calmsley Hill Farm is a great day out for little ones who love getting up close with animals. 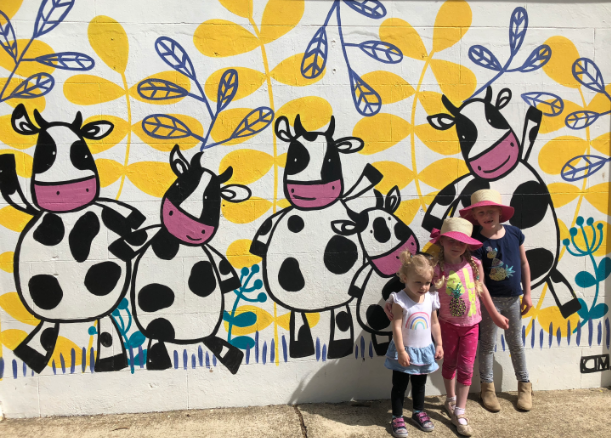 Find out what’s at Calmsley Hill Farm for the tribe. 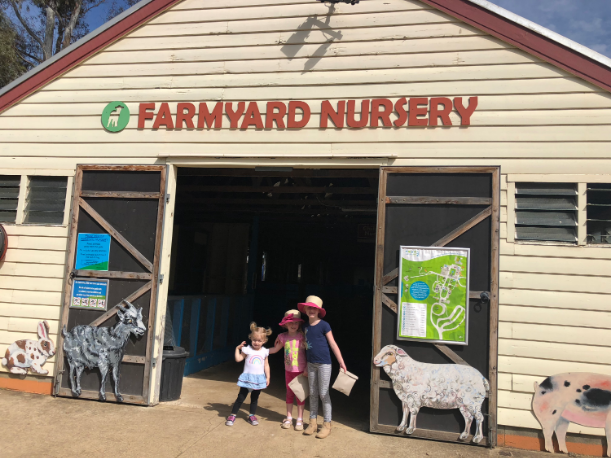 You can purchase bags of animal feed for $2 a bag on entry to Calmsley Hill Farm and then take it to the Farmyard Nursery at 10:30am. Farm hands come around and help the kids to feed small goats, lambs, rabbits, sheep and more. 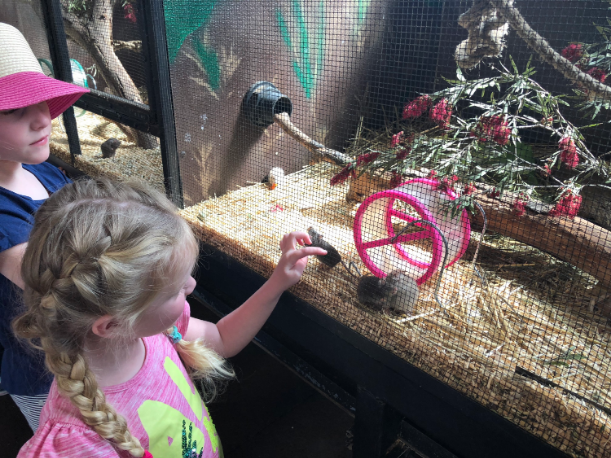 They also can see and pat ferrets, lizards, chicks and mice. Be ready to save the kids from greedy goats though, we had two goats climb right up the front of the kids to get to their feed. We were quite happy though to feed the other small animals in smaller enclosures from the safety of the outside of their pens. 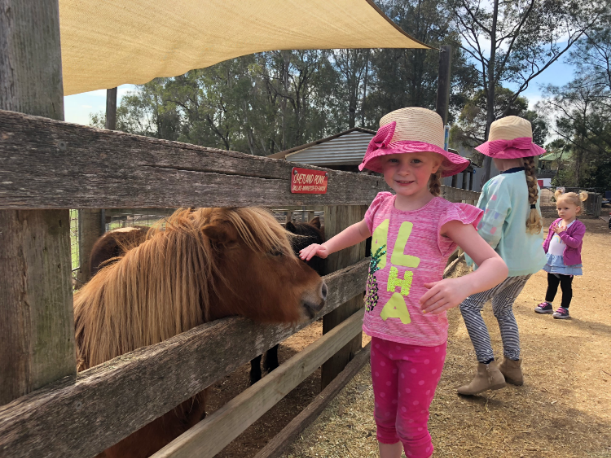 There is a nice little walk through area with kangaroos and wallabies and beyond the enclosure you can see more kangaroos hopping about in paddocks along with a few emus. There are also some koalas in the centre of Calmsley Hill Farm that you can learn about at the Koala talk at 2pm. 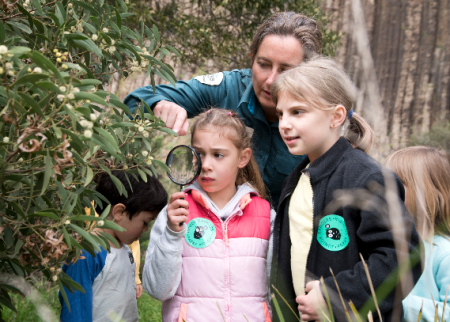 There is also a couple of bird aviaries with kookaburras, cockatoos, rosellas, corellas, galahs and other birds to enjoy. One of the cockatoos was sure to say hello to us when we visited. 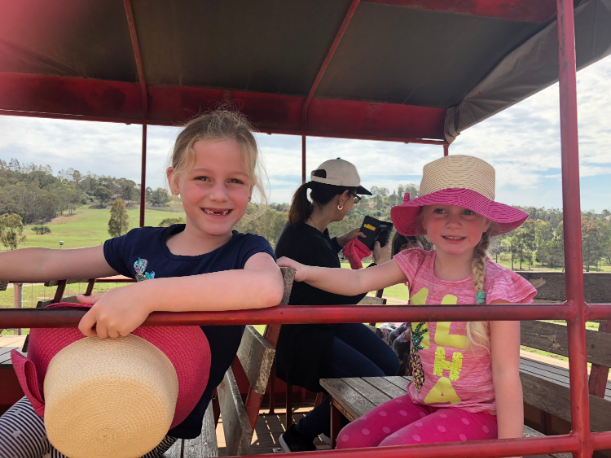 For $3 a person, you can purchase tractor ride tickets which take you for a tour around the paddocks of the farm. This was one of the highlights of our visit so be sure to grab tickets for your ride. There are other demonstrations that the kids enjoyed throughout the day too including a cow milking demonstration and whip cracking. There is a cafe at Calmsley Hill Farm which sells mostly hot take away food including burgers, nuggets, fish, chips and hot dogs. You can also grab sandwiches, snacks, cold drinks and ice creams from here too. But you can bring food and drinks in also and have a picnic if you wish. There is a great little playground inside Calmsley Hill Farm for smaller kids, which has a shade cloth overhead. There are lots of tables and chairs surrounding the park area too making it a great spot for a break or lunch. Want to see what a $15million park looks like? So did we!